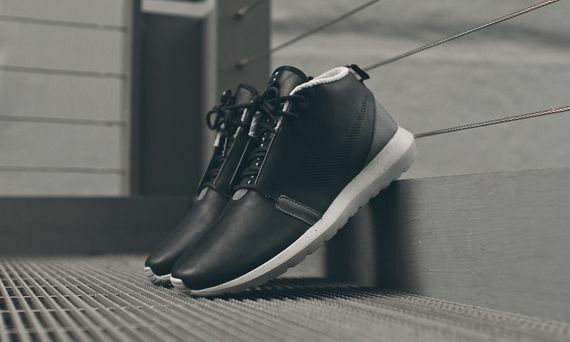 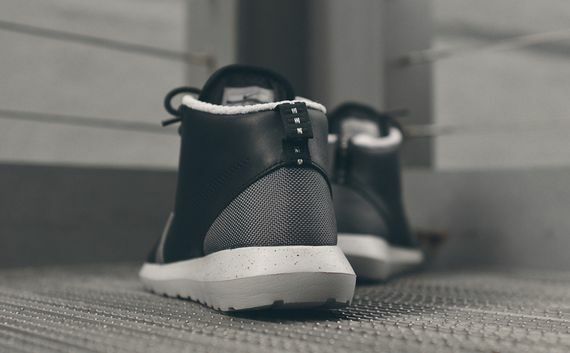 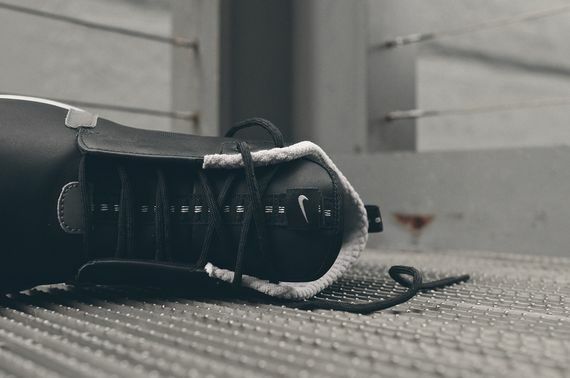 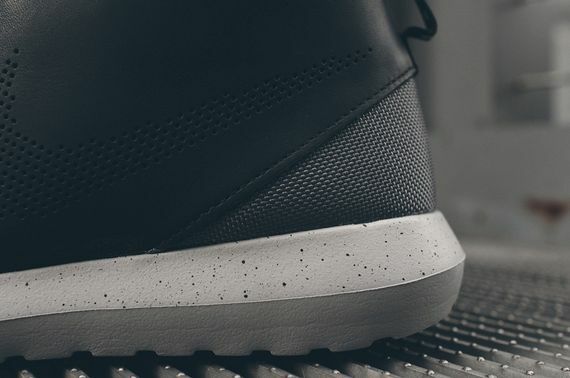 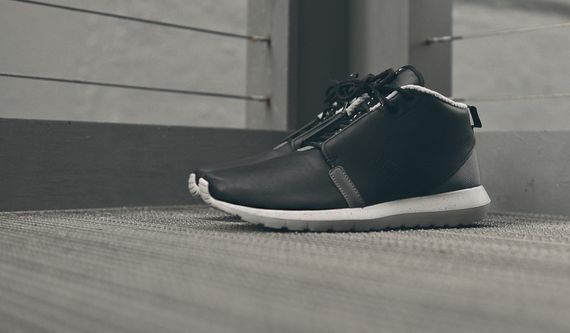 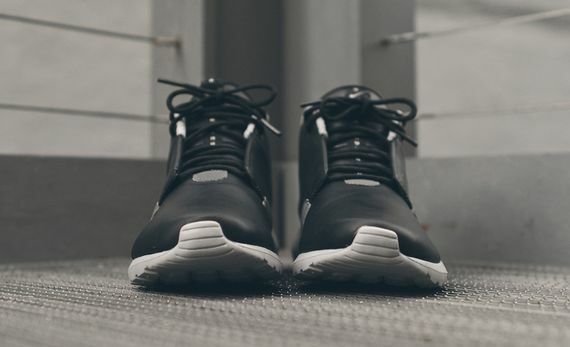 Nike Roshe Run NM Sneakerboot "Black and Grey"
The latest mutation of Nike’s Roshe Run is coming to you via this Natural Motion Sneakerboot that has been decked out in leather and Kevlar. 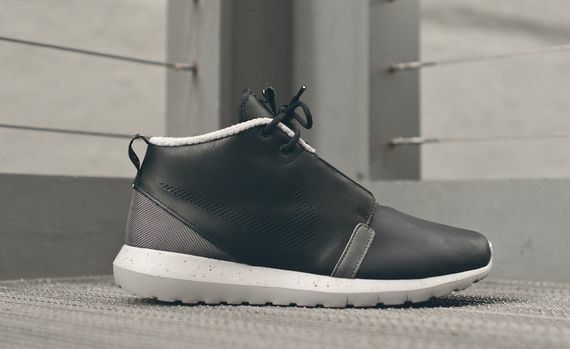 The black and grey kicks keep it simple and are vaguely reminiscent of the Rick Owens adidas’. 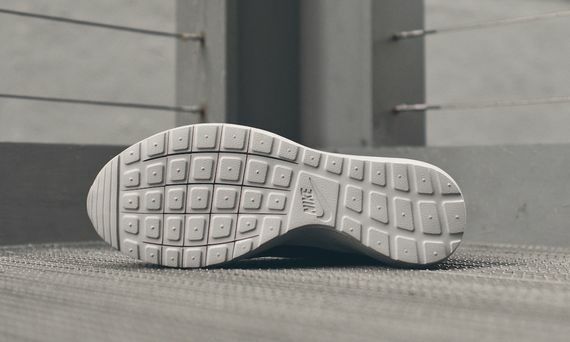 Perforated swoosh accents and a speckled sole keep things interesting, and if you’re interested you’re in luck, they can be copped now.